There is always something so special about watching a couple arguing. Not in complete full blown anger, sure, but that special gritted teeth heated conversation as irritations come to a boil. You know they really love each other and you know they care. But they’ve been so flummoxed by the day’s events that they are overcome with annoyance and spews into this tiny little argument, frothing at the mouth to get every last bit of frustration out of their system. They are fun to watch, and if done well in cinema, make great viewing. Bradford-Halifax- London is an example of capturing a sort of human spirit on film in this delightful short by Francis Lee. Filmed in a complete one shot – this continuous take allows our small trio of actors to amuse as a family of three heading to London for a wedding. However, a series of mishaps has caused a bout of tension and no sooner have they plonked themselves down then the parents are laying in to each other. Causing much embarrassment to their teenage daughter, can the pair reconcile for a pleasant train journey? Bradford – Halifax – London is a train journey full of humanity and realism, as anyone who has had that kind of public “talk,” will contest. It is impressively done with a camera in one “locked off” position that remarkably enthuses this film with a grand sense of voyeurism and observation. With a witty dialogue that feels fresh and realistic, this incredible short is excellent and makes hilarious viewing. Shown at UnderWire Film Festival this week to celebrate Katy Cavanagh’s strong performance as the mother, it’s not hard to see why the Coronation Street star has been praised. Though the bulk of dialogue is taken by the wonderful Paul Barnhill’s father who excels in comedic timing and deliverance here, its Cavanagh’s true to life reaction that tickles the audience. Her contorted facial reactions, heavy sighs and clear pregnancy discomfort titillate. She enthuses the film with a sense of realism and it’s pure joy. Francis Lee’s quaint and amazing little short is a tableau of human life played for the audience to see. Feeling much more as though you had stumbled awkwardly on a family’s domestic rather than watching a creative and inspiring film, Bradford – Halifax – London is an enjoyable and fun short, capturing a wonderful essence of life. When you think about Peter Pan, the wildest dreams of childhood emerge. The immortalised youth, the adventures in Neverland and embarking on epic quests against adults and pirates alike. People are probably more akin to the Disney romp that made you believe you could fly, but the JM Barrie novella has inspired countless of productions, stories and creativity – artists who want to reimagine the intriguing, if albeit sinister (well, the original anyway) story. What Layke Anderson’ has done, with his thrilling and evocative short Happy Thoughts is give the Peter Pan cannon a visceral and powerful modern era tone that transcends eras. As screened at last night’s Underwire Film Festival; the story follows three people, embroiled inside a bitter love story where the man at the centre is cursed by an urge to be free and fly away from his surroundings. A devastating event leaves two women embroiled in a heated moment, both having lost a key element to their love and emotion. Told non-linear, through stirring imagery and flashbacks that entwine like Peter and Wendy upon the bedsit mattress, Happy Thoughts becomes this enthralling short that captures both the innocence and the maturity of growth. Splice with quotes and moments from the original story, this reimagining is strong and hits a vein of emotion that simmers with sheltered love and a mind encased in tragedy. Telling the tale through dreamlike memories as a bitter Wendy and Tinkerbell battle it out in words – enticing a troubled power play between the pair – you are embroiled in the emotive backbone of jealousy and pain. As an adult Wendy regrets, an ever angry Tink lashes out against her. With this verbose fight, combined with these moving montages of love with Peter and love without him, this is a striking capture of the Peter Pan tale. There are even little aesthetic details such as a thimble ring honouring the story. 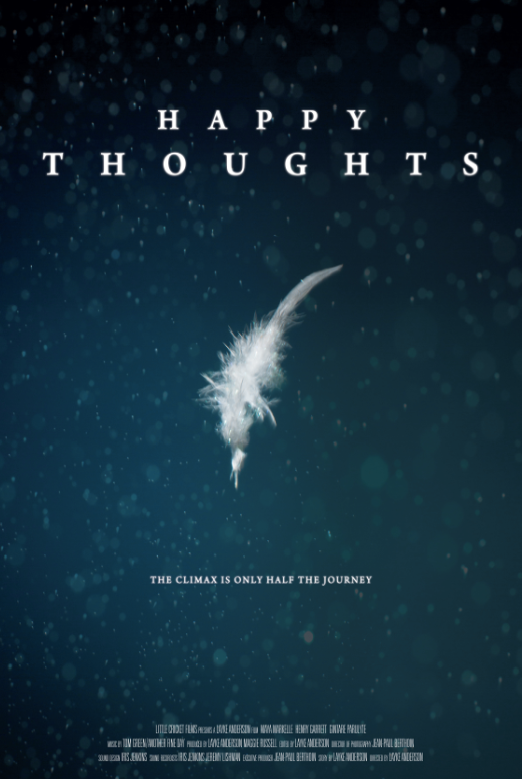 Happy Thoughts has a gritty modern grip that is both intelligent and beautiful, soaring with this absorbing score by Tom Green and gorgeous cinematography. As quotes and nods to Peter Pan fill the atmosphere, we are left to wonder whether childhood is best left in the past or whether taking it through you to adulthood is vital. Nevertheless, Happy Thoughts is a stunning piece of short cinema with compelling centric performances to bring new life into classic characters. Happy Thoughts is making its way around some festival circuits. UnderWire Festival continues all this week. Fear and cinema go hand in hand. After all, there is an abundance of horror films that like to play on our subconscious and truly terrify us with blood, gore and bumps in the night. Yet, as much as our hearts races beneath us alongside the actress who is about to be slices and diced, it’s very rare to see a film that gets to the imagery bustling in our minds when we confront a phobia. For this delightful short, director Nathan Campbell greatly encompasses the sentiments of fear with a mere two minutes. 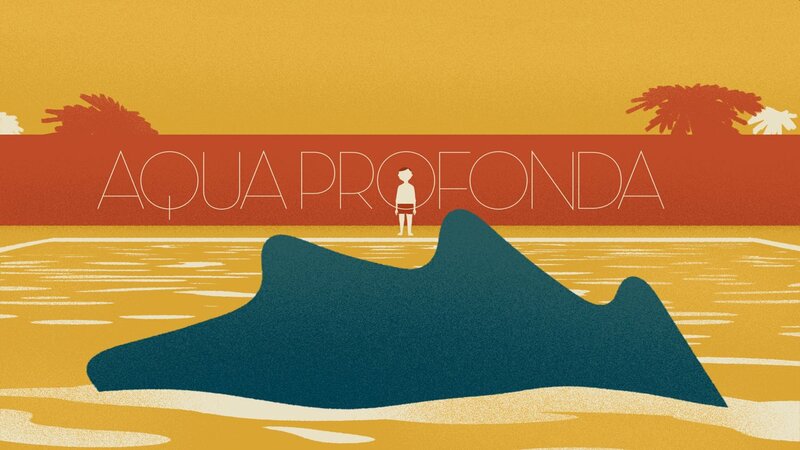 Aqua Profunda is a short animation that focuses on a man on the side of a pool. As he tentatively builds up courage for a swim, we are taken through a journey of memory and imagination that is pivotal for his fright. Utilising a wide range of the spectrum the film dances wildly with vivid colours and characters that melt into one another impeccably. What this does is captivate you, pulling you on to a series of thought that must haunt our speechless character. Though the time to convey the wrought and worried mindset may seem like it could be rushed or stereotypical – director Nathan Campbell enthuses it with a sense of realism and it dances alongside the dreamlike aesthetics. If you’ve suffered an unnerving phobia against the norm then you’ll recognise the visceral backbone that weighs the movie with greatness. It’s wonderful, almost poetic and charged with that lonely sense if having your courage stripped away by your mind. Imagine having 60 hours to create a brilliant film. 60 hours. As well as this, you have one simple instruction “Nothing is as what it seems” and a prop “something is being inspected with a magnified glass.” It’s a small amount of time with not a lot to go upon. Heck, there are some film directors out there who can’t create a film in about three years with a 30 page script and 32942303 dollars behind them (cough, Michael Bay, cough). Anyway, for the Colchester 60 Hour film festival, the strenuous task is at hand to create something fresh and wonderful but sandwich the process into just under three days. 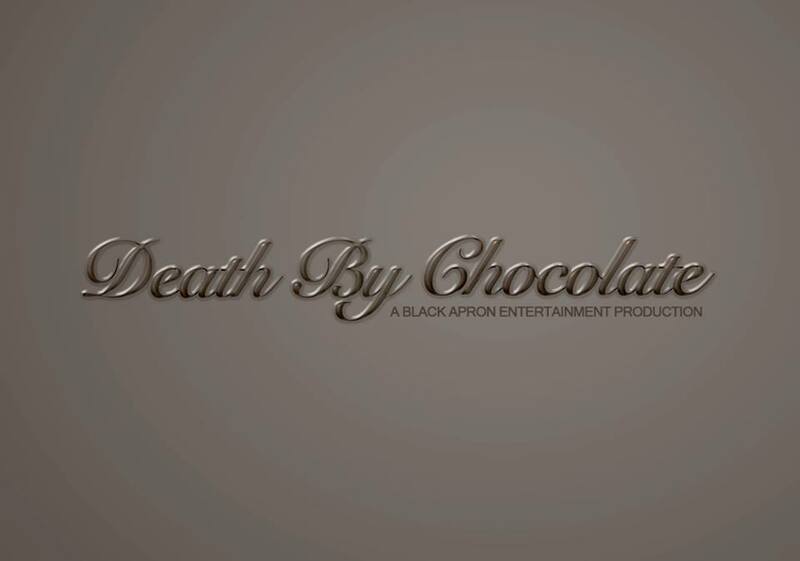 Black Apron Entertainment have done just that with their greatly named film Death By Chocolate. I’d like to stress now that this is not a comedy, and the tagline “nothing is as it seems,” is more apt than ever with this film. The metaphorical magnified glass here (I’m not giving away the physical side) is a relationship where a couple are happily in love. From afar, they seem content. So much so, in fact, that seconds into the film you’ll feel enraged amounts of jealousy. But peering closer, the truth unravels and culminates in a shocking end. Written and directed by Daniel Bailey, Lynette Linton and Gino Ricardo Green, Death By Chocolate is an evocative look at the undercurrent of a relationship. Pinpointing rather under heard issues that rage beneath the sickly sweet surface, the strength here is how the narrative flits between different viewpoints of the same scene; extending it so the truth hits you in the pit of your stomach. Though the film is obviously hindered by a small budget, the project does well in conveying a story and excavating the bare bones of a seemingly perfect relationship by playing with its unreliable narrator. 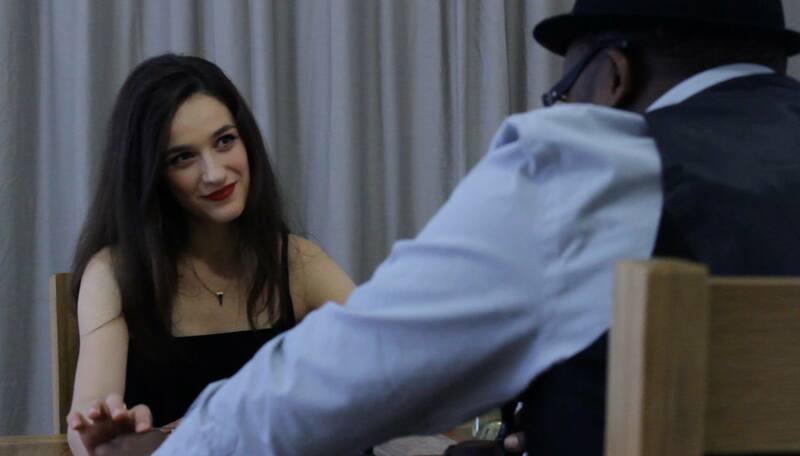 With effective and good performances by Francesca Bailey and Samson Kayo, (though, by no means, amazing) Death By Chocolate is truly helped along by its frankly stirring score by young performer Eden Roxx. Not only capturing the essence of the plot and the visceral coil that spirals out of control, the music is gorgeously imagined and hauntingly played. Death by Chocolate is a project with a lot of attentiveness and emotion poured into it, certainly producing a great final product for the 60 Hour competition. But more so than this, Black Apron Entertainment is a future company to look out for. There is something so admirable about the lazy days of market holders, enticing their customers with the delicious smells of home-baked foods at affordable prizes in the squares of beautiful vintage downs. The hard working slog of open air selling where money goes straight into the pocket of the creators is dwindling to the over corporate cities and “Starbucking” mentality where companies have infiltrated every village, town and ruined their rustic aesthetic. This latest whimsical short Sausage (and yes, a French accent and inflictions are being said with that,) is a delightful little film about two stall holders whose patch is infiltrated by a gigantic metallic Supermarket chain visual metaphor creating their products, cakes and sausages, cheaper and quicker. Director Robert Grieves has brought a quaint and impressive little short that utilises a lot of retro animated techniques. With an abundance of colour, splashed against the backdrop of a hilariously fun story – one that many people can recognise and sympathise with (though that is largely the drone like consumers whose attention is being vied for and flock to whatever offer seems best). IT was a spirit, jovial and earnest that strikes a note of companion ship for the little guys, working together to make their businesses win. There is also an underlying theme that in the frantic rush for business and success, chain stores forget their aim and within the franticness to end up on burning up (cough, Woolworths, cough). But there is also a little sliver of possibility that there is enough room in the square for all characters if they were nice enough. Entwined with this fantastic animation, with quirky characters that you immediately battle for throughout the film is a bustling story that is highly pleasing. 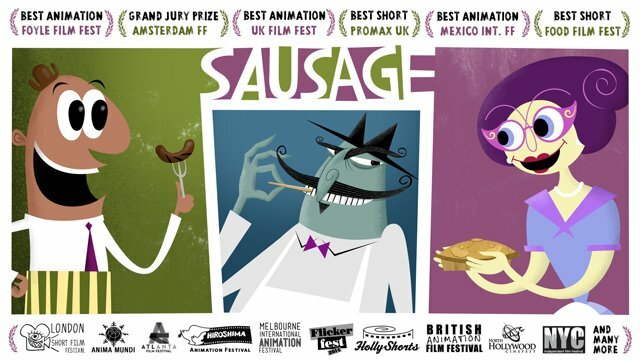 Grieves’ Sausage is a brilliant film to devour, munch and feel utterly satisfied afterwards. Being a postie must open your eyes to a lot of things, right? You spend your days constantly on your feet – trudging from door to door – and interacting with these lives at a fleeting glimpse, wondering what reaction those will have to your deliveries. You probably know those people better than their loved ones. After all, an eviction notice or bill spells “money trouble on the front page” and a birthday card might solicit money for the penny pinching post-man. Unless you live on a friendly street, you’ll probably never know the high-vis jacket wearing paper Santa Clause. 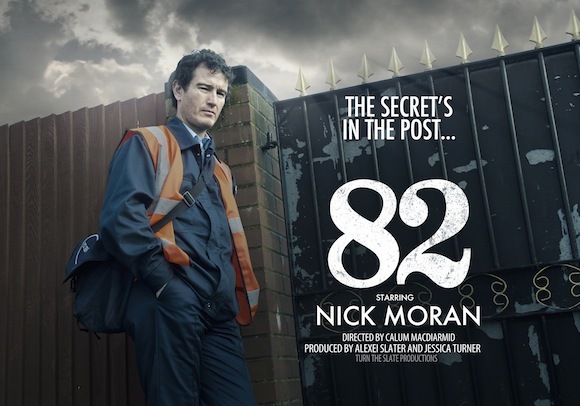 Which is a considerable advantage for our postie in darkly humorous short 82, named after one of the houses in this typical suburbia that has hidden secrets. Stuck inside his head, something that no one ever hears, this Postie’s perverse and cocksure antics as he ventures down Feltham Street unravels more secrets tussled beneath the surface. And this prick will twist the knowledge of whatever is lurking in packages to his favour. Starring Nick Moran and directed by Calum MacDiarmid, this is a daring and inventive British flick. This geezer pleaser is definitely a highly innovative and slick piece that enthuses this excellent comedy with a mean streak. The look and tone of the film is largely down to its technical brilliance of the shots. Slipping from drawn out and slow motion shots to sped up sequences as though the film was buffering, the lingering and then onto the rush gives the film a flare of excellence. Vivid and brilliant, what MacDiarmid achieves is the fast and fresh dark comedy film is fantastic and exuberant. 82 is engaging right to the retribution at the end and has a dry comedy beat throughout it. It has score multiple awards throughout the festival circuit and hopes to achieve may more. 82 is now available on iTunes! The problem with being extremely passionate about film, in all its glory, is that when you trying to submerge yourself in the pitch dark of the cinema and immerse yourself in the story, you’ll find that some people around you aren’t that considerate. There will be the flickering of lights in the corner of your eye, the rustling of snacks that are gorged upon by noisy eaters and the worst sinners of all, those who talk (not whisper, because the odd comment here and there is permitted, quietly). The loud commenters will enrage most, especially when it’s in a cinema. But finally, upcoming film-maker Ashlee Coughlan has vindicated cinematic etiquette at last. The appropriately named “Ssshhh!” is a short film made during Coughlan’s studies that conveys the sickest of fantasies by those who abhor talking in our cinemas. Our heroine, (erm, I mean anti-heroine,) comes across an obnoxious talker whilst she is watching her beloved horror flick. As they leave, she finds he has dropped his wallet. Being the kind citizen she is, he tracks her down. Only, she has more plans than that. “Sssshh!” is a fun but great little horror short. Being a student project, clearly the budget has restrained it’s true greatness here – mainly noticed in the weaker cinematography and some angles that give away the secrets of the horror. But Coughlan still emulates thrilling directors such as Hitchcock in his, ha ha, tongue in cheek film. There is little dialogue, which strips the audience back into the horror, and the tension is deliciously lapped up. Coughlan is a budding director here, using specific shots and cutting away at the right moment to mirror the craziness of great actress Emma Frisk’s eyes in the act that she is committing. Neatly sandwiched into five minutes, the film is low budget but boasts a massive amount of skill, intelligence and passion that Coughlan has for cinema. Helping along by Dylan Freeds’ music which feels more akin to Dario Argento soundtracks and classic horror movies, “Ssshh!” is a great little short for Coughlan’s portfolio. Enough to get our tongues wagging anyway. There has been a lot of contention surrounding War Photographers for a long time. In fact, some of the backlash of these evocative pictures has driven the artists to suicide. It’s a constant tension with asking yourself at what point do you believe a photograph should intervene with the subject? Do they continue to document the war or do they put the camera down in order to help, delving into their resources to reach out to the humanity they are portraying? Or at some point, do you have to devoid yourself behind the lens and use these images to shock the world into action? What is right…What is morally right? Starring Charles Dance and Omid Djalili, this is the subject of Garrick Hamm’s short film Retrospective. It revolves around acclaimed wartime photographer Jonathan Hoyle who is being celebrated with his new book (the title of the film) and an art exhibit. With much praise, however, it is clear that Hoyle is troubled by his own work and is striving to detach himself from the whole affair and his lifetime of photography. However, this task is not as simple as it first looks and he finds that his work has caused more trouble for his subjects and their families than he cared to flinch about. The whole story is written with acute perception and daringness. Hamm wields the camera similarly to Hoyle, with emotion behind the lens as well as in front of it. The attention to each side of the story – the distraught family of the “acclaimed” death on the front cover and Hoyle’s own anguish with the attention and witnessing the death – are balanced with equal visceral perception. The ideas presented are firstly about art and survival, immortalisation and the removal of oneself in order to pursue the vital work. Secondly, it deals with love and consequence, the confrontation with the emotions one isolates themself from. This ideology creates a stirring, provocative film that is sturdily acted by both Dance and Djalili. Working alongside his acclaimed cinematographer Michael Seresin, the movie is a stunning effort from Hamm that really dares to ask questions. Played in unnverving fashion, Retrospective is an intellectual and fantastic film that deals with a sensitive issue with both tact and grace. Retrospective will be available via Shorts TV and iTunes in December. The idea that the world is going to dissolve into dystopia is a harsh one that has been in abundance of recent films. There is going to be a war, a lack of fuel, an uprising or an over-reliance on technology and we are going to end up defunct in a future that we tore apart. Plus, with the elevation of technology, many have used it as a crutch to escape from their lives and stay locked inside a fantasy world where reality is a far distant memory, playing out their wildest dreams and enveloping them. It’s only natural that these tropes combine and create a marvellous futuristic depth with Giacomo Cimini’s The Nostalgist. In an unknown future, the world of Vanille is not how it seems. A company have created glasses known as “Immsersyst Eyes and Ears,” with these the world could literally be your oyster, exactly how you planned and envisaged it. However, a father and son are thrown into turmoil when his father’s device disintegrates and he has to face the truth behind their isolated, idyllic life and he ventures to reclaim the fantasy and illusion he has been obsessed with. Based on a short story by Daniel H.Wilson, the turbulent themes here are akin to that of The Congress and A.I – that the populace escapes tragedy in fantasy and ignores the desolation that is actually occurring around them. 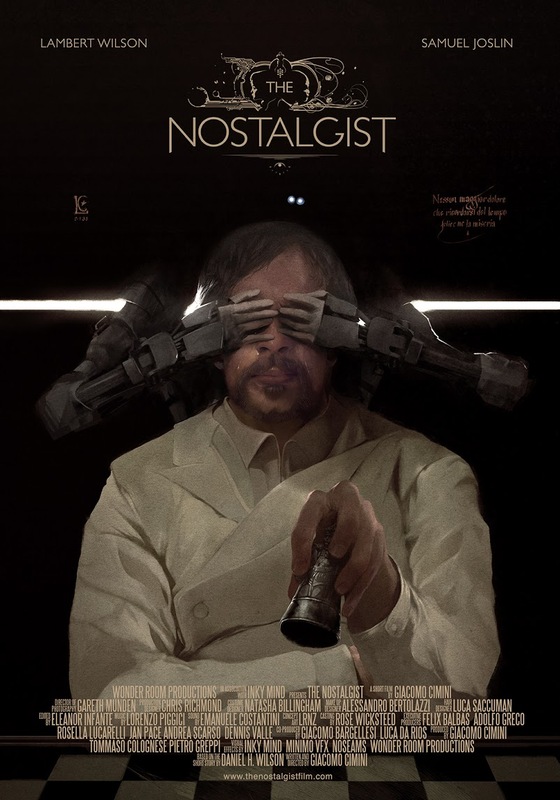 The Nostalgist handles it with much more humanity, installing that as the main vein of the film and allowing you to explore both worlds of the father and son. Questioning the norm and what exactly makes us more than a bundle of bags, bones and smog stained flesh, this deftly handled short film is engrossing. These futuristic ideals highlight the over-reliance of fantasies and clashes with the bleak and damaged reality, absorbing you in the entire story, and therefore enthralling the audience. Handling the role of the Father is Of Gods and Men actor Lambert Wilson, who wonderfully and impassionedly handles the archaic invented life that he has lived and struggles to patch up the worried cracks that unfurl the imposing reality he now has to face to save his son. Wilson delicately weaves the emotive urgency of the Father (aka The Nostalgist,) and how dependent he is on this imagined life with his son. He is stunning, evocative and visceral. Opposite him, as the son, is the young Samuel Joslin who delights and is haunting in his innocence that is lost and regained throughout the film. Together, they have this vital relationship that is core of this film. The Nostalgist has an exquisite look that develops both the Victorian-esque fantasy and the mechanically advanced life where reality is a choice is bursting with this complexity, both stirring and profound. With a strong acting centre and a vibrant aesthetic by Wonder Room Productions, The Nostalgist is a stirring short film. The Nostalgist is released globally today, exclusively on We Are Colony. Get access to the film plus 100 minutes of additional content including the making of documentary, extended interviews with cast and crew, VFX featurettes and early versions of the film, plus stills, script, concept art and much more. Request an invite at www.wearecolony.com. 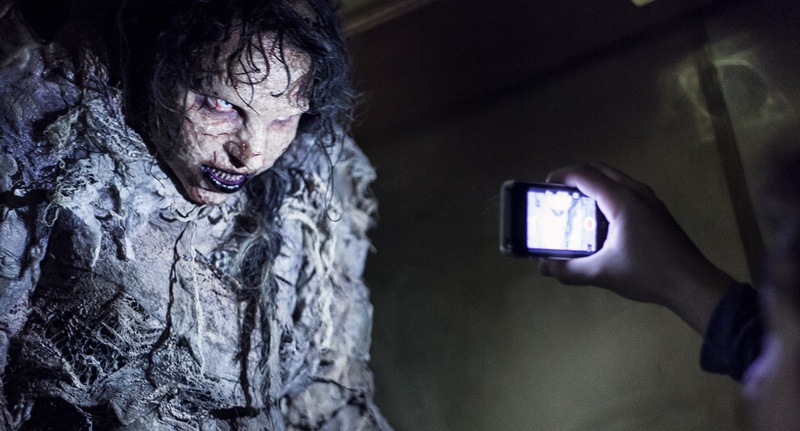 Short Cuts to Hell 2, hosted by the Horror Channel delighted, and thrilled audiences last week with their showcase of devilish shorts that were marvellously done. A whole range of films took centre stage and viewers of the infamous channel could cast their vote on whatever film they perceived as best from the evening and luckily for us, the votes cast Hubert’s Ghost as the outstanding victor for the evening. With just the right level of wit and comedy with great special effects, Hurbert’s Ghost is a somewhat charming short film that revolves around a family living in a haunted house. The problem is that the inhabitants are rather, vindictive, so in order to not be seen – the family wear a bunch of handmade Halloween costumes to hide from their vengeance. But when Angeline, a spectre, befriends Hubert – could he be convinced to take the mask off? 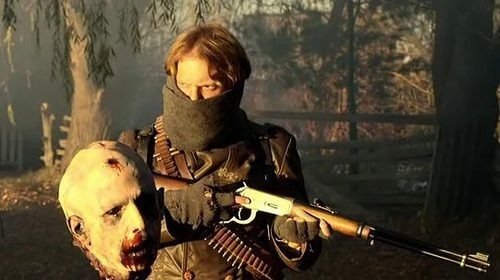 Scooping up the stellar prize, film-makers Lloyd and Joe Staszkiewicz have made a quaint and quirky film that may not deliver solely on the frights, but tickles with a wholly original and rambunctious idea. The effects are done wonderfully well with some fantastic characters in such a small amount of time. It’s all rather delightful (but yearning for a fuller and depth filled film that luckily will come as part of the prize is to develop the film and have it premièred at Film4’s Frightfest next year). Ingenuitive and innovate, the film will grasp you in it’s whimsy and wonderfully so. Of winning the prize, Lloyd applauded the horror channel for giving them the opportunity as well as saying “it’s amazing to have one this ace competition” but expressed how tough it was heading to public vote. That being said, they certainly charmed here and you’ll be happy to know that their efforts will be screened on the horror channel all this month. Find out more about the winner here. No matter how careful you are as a parent, no matter how strong you are growing up, childhood will always leave scars. You will have the after effects of whatever happened to you, a fall, a fear or maybe something far deeper that has bruised your soul. Waving At Trains is a short film that tackles with the latter side of childhood as an older Douglas Warren deals with a lingering yet pain ridden memory that has affected him in his adult life. And he is desperate to absolve himself in this enthralling short film. Waving At Trains starts off a bit perplexing, but give it a few seconds (as it is a short, a few minutes would be too long) and you’ll unearth a sense of dread and guilt in a visceral and emotive well. Director Sean Crotty and writer Alan Seiglow present a film that could drive a course entirely into the clichéd territory, a man missing his mother under disastrous circumstances. But their way of handling, representing the darker elements of his life that has left him shut away in his basement, is sensitive. Approaching the darker side of bottling everything inside you for years after. Waving At Trains, too, has many themes that are portrayed within this parental loss and deftly deals somewhat with an Oedipal relationship, a childlike jealousy and a mother’s need to live a little bit of her life away from her child. 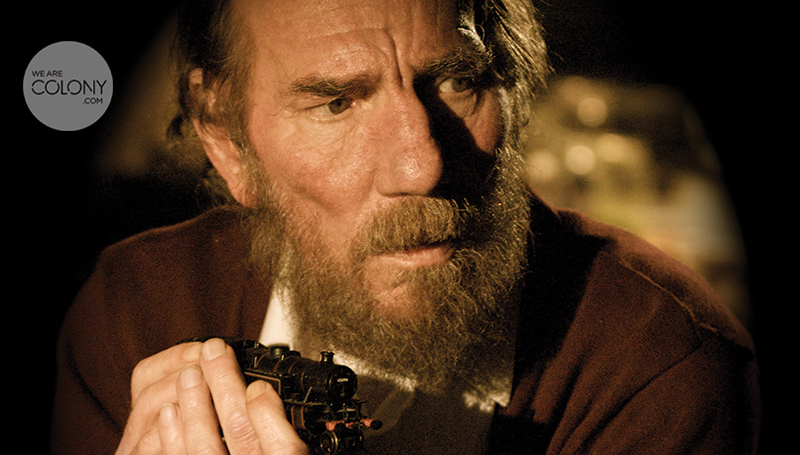 Of course, the leading man and late, great actor Pete Postlethwaite in one of his last incredible films encompasses every nuance of residual regret and emotively plays it rather astutely and understated. This enthralling performance really hammers home what an enormous talent we lost. Here, as the elderly version of Douglas, he toils with different bitter and angered emotions that still light up inside him. That combination of feelings, of guilt and shame, lead to the dramatic and brutal end that strikes your heart. Postlethwaite is unnerving, eliciting a wide range of sorrow that you instantly empathise with. Waving At Trains is a tragic film. It’s feels entirely different and tackles a subject, (or many different subjects if you really want to chew into the different themes). Crotty and Seiglow enthuse that passionate sadness with a vein of tragedy that is anchored by the touching performance by Postlethwaite. And what is sadder is that an acting legend died before seeing this film realeased, a loss to the world and the film industry. Waving At Trains is available on We Are Colony now. Have you ever looked and an old Victorian photograph and instantly had shivers trickle down your pine? Maybe it’s the sepia tone or perhaps it is the tinge of ghosts that no longer walk this Earth that star dead eyed into your soul as if they were right beside you, whispering the past into the your nightmares. The ghoulish apparitions that seem to perforate in the background spindle all your fright into a ball and you are either sucked further into the ghouls at centre stage or you have to pull away, chilled at the thoughts haunting your mind. This notion is played really well in The Facts In The Case of Mr Hollow. 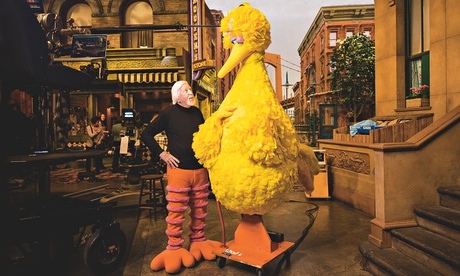 Taking a massive liberty with how you can view a photograph – in this case, presenting it more as a tableau than anything. Drenched in sepia tones, it depicts a brand new family parked outside a church with a child in tow. 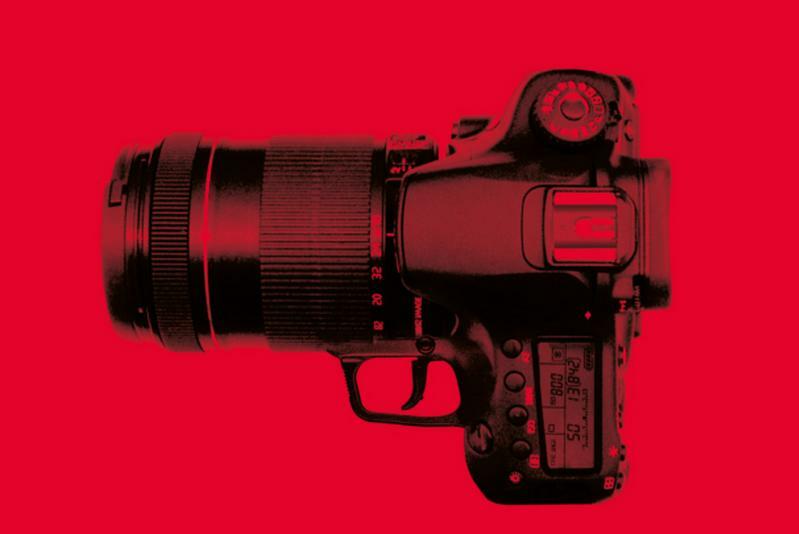 Using the lens of the camera as a magnifying glass, we are invited to view each aspect and dimension of the photography where the sinister truth is slowly being revealed. 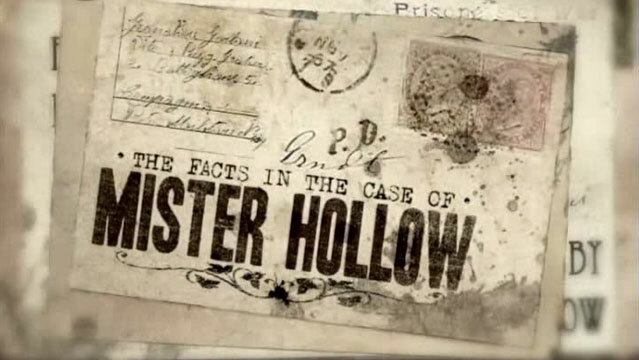 The Facts in the Case of Mr Hollow is an outstanding and original take of the horror fare that still sends homage to the genre, with nods here and there. The set up and the gradually changing characters despite their supposed stillness, really unveils in this unique and stirring way. Co-directed and written by Rodrigo Gudino and Marco Pecota, the spiralling tension and fear for an effective film. The music adds a layer of suspense that curdles in your stomach with this dull sense of dread. The impending shock, fear and fright is very much akin to those idiotic “find the mistake” screamer puzzles online but it is developed really well here. It’s creepy, innovative, and wholly fantastic.